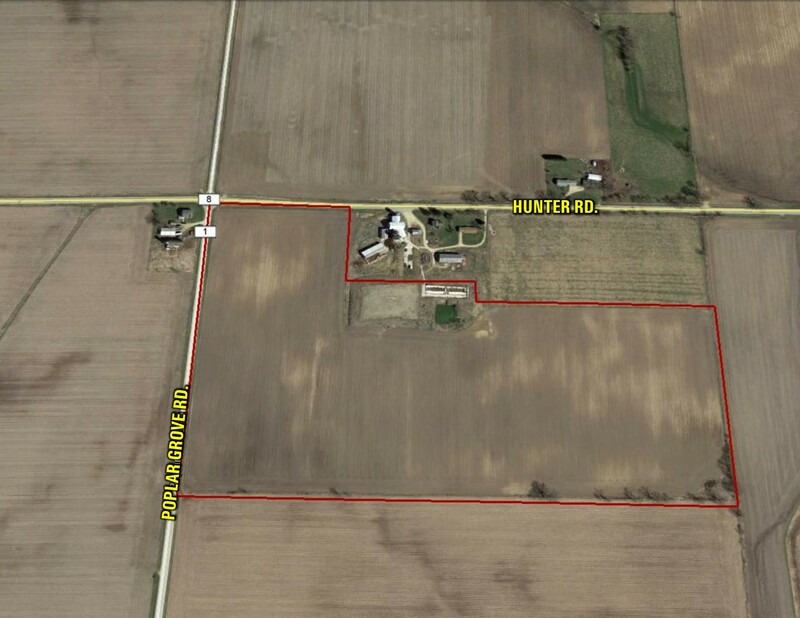 Opportunity to own 49.6 surveyed acres of productive Boone County, Illinois, farmland in a strong farming area. The farm includes approximately 45.07 tillable acres with a 123.5 PI. Productive soil types include Stronghurst, St. Charles and Flagg loams. Part of the North 1/2 of the Northwest 1/4, Section 31, Township 46 North, Range 4 East. Exact legal description to come from survey. North of Poplar Grove on Poplar Grove Rd., to Hunter Rd. The farm is located on the Southeast side of the intersection of Poplar Grove Rd. and Hunter Rd.